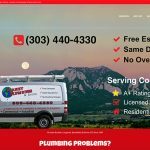 Planet Plumbing offers expert water line replacement services for your home or business in Boulder, Longmont, and Denver metro areas. We have you covered whether you need a water line replacement in your home, or the section of the water line that connects to the city main water line. Our water line replacement plumbers are trained, experienced, and licensed. Your water line is leaking due to age, inferior piping is failing, or galvanized piping that is rusting shut. 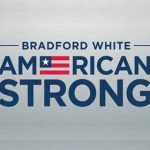 Homeowner wants to increase water volume into the home due to home water usage needs. Being proactive and want to fix water line before it becomes a larger problem. 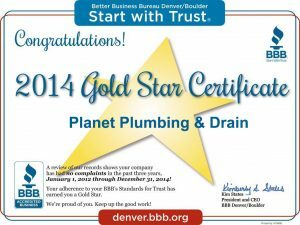 Call Planet Plumbing & Drain today at (303) 440-4330 to schedule your Water Line Replacement service, or Schedule Online. There are various things that can cause a water line to need repair or replacement. You can look for the signs that a problem is present and contact the water line replacement experts to tackle the job. The following are some common problems that may result in a water line needing replacement. Broken Water Lines. Tree roots are a common cause of broken water lines. These roots search for moisture and are able to penetrate the smallest cracks in water pipes. As these roots enter the pipe through those cracks, water leaks out resulting in wet spots on your lawn and landscaping. Flooding in yard or basement. Water lines experience continuous pressure, and when there is a break in the main, water flows from the pipe and finds its way to the surface. 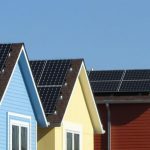 The surface level could be the street, your lawn, or your basement. Lower water flow or pressure. Moisture spots in the home. Our experienced, trained and licensed water main plumbers will perform complete inspections of your water main line system using the latest technology. We will provide a complete diagnosis to the customer identifying any problems, recommended solutions, and the cost of a main water line replacement. If you have been experiencing an increase in your water bill, this may indicate a water line leak. Our water line leak inspections will locate any leaks, no matter how small or large they are. Finding and fixing leaks is of the upmost importance in protecting your home or business form larger and more costly problems. Planet Plumbing has well trained, highly experience water main line plumbers that can solve water line problems rapidly, accurately, with the highest quality of work available. Your water main line provides your home or business with access to the city water grid. This is the case for both water coming into your home, and water flowing out of your home. Both directions can be affected when your main line is damaged. A water main problem can develop into serious issues if not fixed promptly. Water main problems will persist until the line is replaced or repaired. Ignoring a main line problem can cause damage to your foundation, lead to sinkholes, or worse. Invasive tree roots. Tree roots are one of the main causes of water main line damage. However, even shrubs can grow deep enough to break, crack, or block your main water lines. Old pipes. Many of the current water lines were installed in the 1950s and later. Knowing the age of your pipes can help determine if a replacement or repair is recommended. Pipe Materials. Many older water lines were made with lesser materials such as clay, steel, and tile that are more subject to deterioration than current pipes. These materials coupled with corrosive soil are a water line replacement in the works. Poor soil. Poor soil conditions such as soil containing high chloride levels or low resistivity, can cause corrosion in water main lines. Clay soil is well known culprit in causing water main damage. As a homeowner, you are responsible for the water line that run from your home to the street. If this section of the water line becomes damaged, corroded, or malfunctions in any way, you are responsible for any water line replacement or repairs. The exact cost of a water line or water main replacement depends off several factors. In some scenarios, you may only need to perform a partial replacement, and in others you made need to replace the entire line. If you have a newer pipe and the damage is only to a certain section of the pipe, then you probably wouldn’t need to replace the whole pipe. You may only have to replace a section of the pipe. If you have an older home, the water lines may more serious issues. For example you see puddles of water developing in your yard, or hear the sound of running water constantly in your pipes. In these cases, you may need to have the entire water line replaced with new pipes that will keep your home functioning properly. If you need a water line replacement, the best thing to do is call the water line experts at Planet Plumbing & Drain. We will send out a water line technician that will diagnose the problem and inform you of what needs to be repaired or replacement, and provide you with a free estimate. Every one of our plumbing technicians is experienced and trained in complete water line replacement services. No overtime fees and free estimates over the phone usually. There is no charge for on-site estimates when needed.